ASHEfest has now become an integral event in the community for Indigenous youth to learn and enjoy their ancestral heritage and participate with other family members from other regions of the Goulburn Valley. ASHEfest is delivered by the Academy of Health Sports and Education (ASHE) for all primary and secondary students in the Goulburn Murray. ASHEfest is a two day event filled with cultural activities, workshops, traditional Indigenous games and information for parents, families and community. It is the key event of the year for ASHE. This year’s ASHEfest was the biggest: ASHE entertained up to 700 Indigenous and non-Indigenous students from all over the Shepparton and surrounding areas such as Benalla, Seymour, Echuca and Deniliquin. 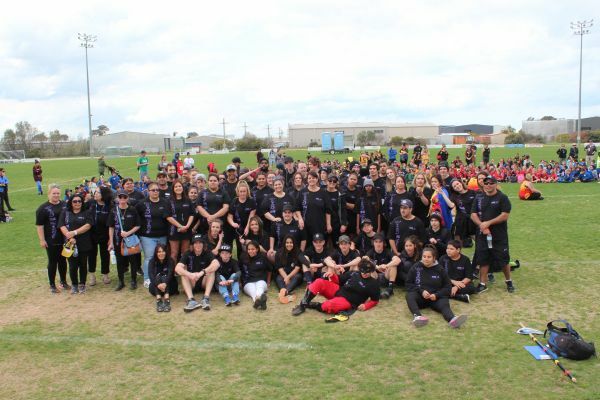 With such organisations as Specky Dreaming, Defence Force, Yorta Yorta Nations, and local Police Force the students were engaged in fun and entertaining community activities over the two day event.